Hailed as a superfood and loved for its cool, tangy taste, yogurt's popularity continues to grow. 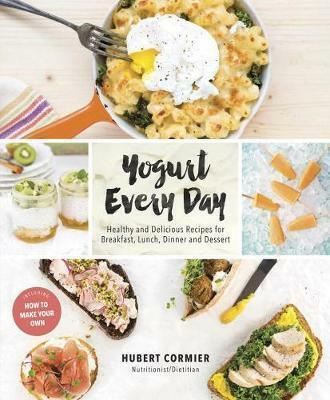 Yogurt Every Day feeds this frenzy for yogurt, serving up 75 delicious recipes for breakfast, lunch, dinner, snacks and dessert, including how to make your own yogurt at home. After years of serving as a quick breakfast fix or mid-afternoon pick-me-up, yogurt is finally having its day, embraced by a public passionate about the art of living and eating well. The surging popularity of Greek, Skyr and other yogurts testifies not only to their celebrated probiotics and healthful benefits, but to their versatility, creamy textures and rich tangy flavours.